This product are flexible and pliable,high temp. It is convenient to use,safety, waterproof, durable. 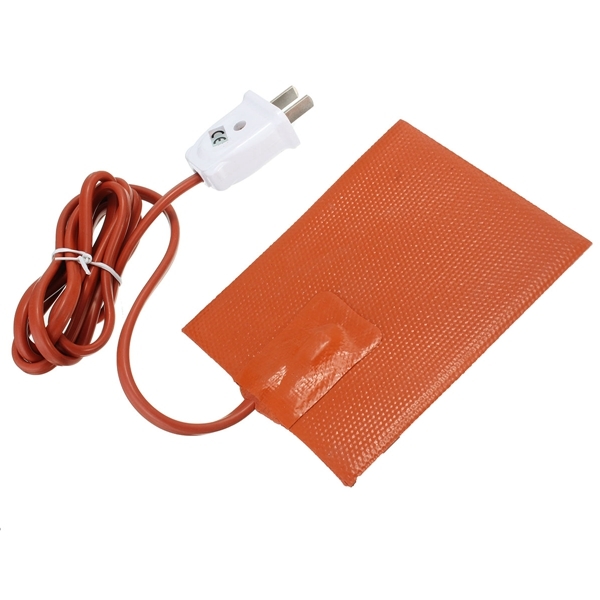 Silicone rubber heating plate have a lot of advantage,such as,thin, lightweight and flexible and so on. Fit for a lots of position,like,utomotive applications, water tank, storage battery anti-freeze heating insulation,medical equipment and easy to install. This producr is make of alloy wire and silicon rubber,whic is high temperature insulation,heating quickly,uniform temperature, high thermal efficiency,and good toughness. Fit for: Automotive applications, water tank, storage battery anti-freeze heating insulation,medical equipment. You can not cut the pad. It can not be installed on a plastic or poly container. Please keep dry when you use this product. Please make sure that the enviroment would not cause the fire. Unit took about 5 weeks to deliver which was expected. Heater works well and heats up nicely. Thermostat clicks on and off to maintain constant heat. Time will be the determining factor to see if it has lasting power. 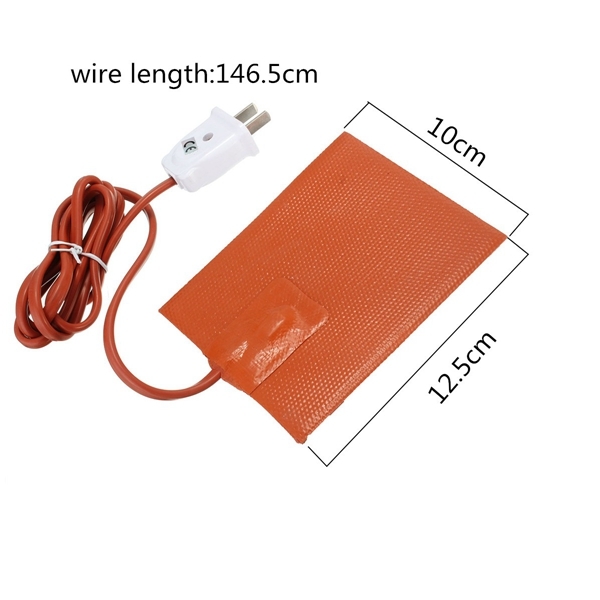 THIS CAR ENGINE OIL SILICONE HEATER PAD WILL HELP IN THE COLD WINTERS HERE 100W WITH PLUG. HA HA THOSE REALLY COLD MORNINGS IM FIGHTING BACK THIS YEAR. Very good value for the price and as long as I can see the quality is good too. I have already monted it under my car. Now I am waiting for a cold night to test it.